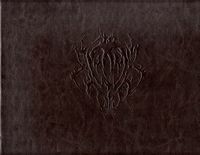 Naryu's Journal is the execution journal of Morag Tong assassin Naryu Virian. It was included with physical copies of the The Elder Scrolls Online: Morrowind Physical Collector's Edition. Naryu is assigned by the Grandmaster of the Morag Tong to assassinate a series of targets known as the "Seven Secretives", assassins of the Tong who have turned traitor. The book is the journal she wrote while on the job, as she felt it would be important enough to record for Tong history, with a description of everything she did and illustrations of the places she visited. The book covers locations from most of the DLC released between the launch of Elder Scrolls Online and the release of the Morrowind chapter: Craglorn, Imperial City, Orsinium, Thieves Guild, and Dark Brotherhood. The Morrowind cinematic trailer is a scene from the book. This page was last modified on 18 August 2018, at 04:32.